Written by alex matthews on Monday, December 19th, 2016 at 12:00pm. The first night of local radio station 91x‘s annual Wrex the Halls concert was held this year on December 10 at Valley View Casino Center. Featuring a lineup heavy on indie/alternative rock acts, the concert was a fantastic display of rising stars and veteran artists. Tons of eager fans braved the drizzly winter weather outside the venue to take in this San Diego holiday music tradition. First up on the bill was Los Angeles based vocalist Bishop Briggs. This fresh and energetic young performer bounded around onstage, belting out heartfelt vocals over lean guitar and keyboard tracks provided by her sparse backing band. Her current single “The River” was a highlight of the set and resulted in the first singalong of the night. Despite a short setlist and an audience still trickling into the building, Briggs brought some much needed energy and life to the arena. Next up was another LA indie rock act, Local Natives. The quintet played a modern blend of guitar and keyboard led songs over tight percussion played in looping patterns. Their multi-vocalist, multi-instrumentalist approach lent a unique aspect to their live sound, making each song a vivid soundscape. The intense percussion and live energy of “Wide Eyes” from their 2010 album Gorilla Manor was a standout. Glass Animals, an indie act hailing from Oxford, England, were the next band on the bill. The young four-piece played a powerful mix of electronic and rock-influenced sounds. Vocalist/guitarist Dave Baley skillfully clashed his guitar licks with electronic drums and bass-heavy samples. Glass Animals got the crowd dancing with songs like “Life Itself,” from their 2016 album How to Be A Human Being. 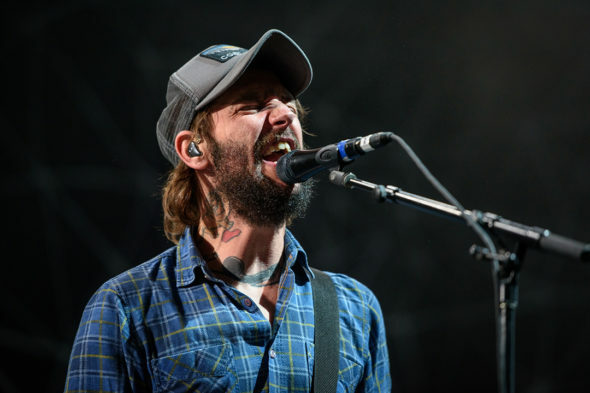 Formed in 2004 and with five studio albums under their belt, Band of Horses were a much more veteran act for this year’s Wrex the Halls lineup. Led by constant member and vocalist/guitarist Ben Bridwell, the LA rock band is touring in support of 2016’s Why Are You Ok. Their set was heavy on traditional, guitar-based rock songs with story-led verses and big choruses. The band was clearly having fun and played well, despite a restart on the opening song due to a capo malfunction. 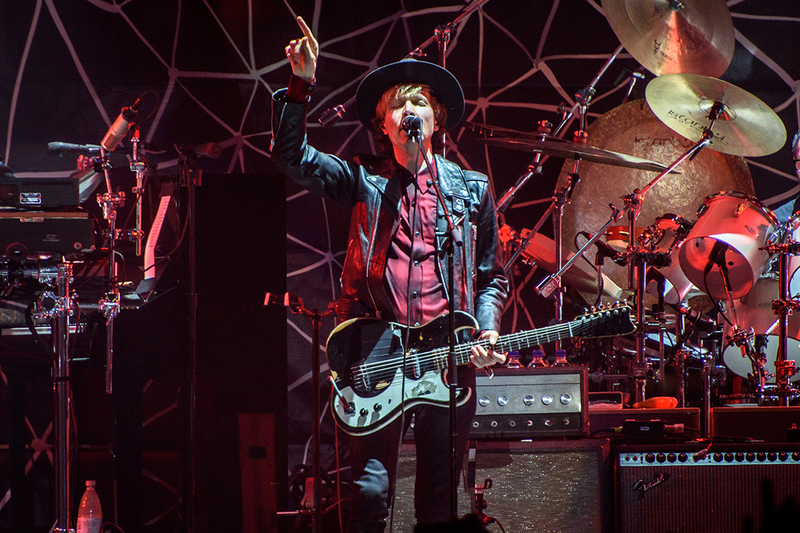 Beck was the definite headliner and main draw for night one of this year’s Wrex the Halls. A veteran artist, he has been a rock radio staple since the early ’90s. Getting things off to a familiar start, he launched into 1993’s “Loser” as his first song of the night. The hit song’s immediately recognizable slide guitar hook and off-the-wall lyrics were chanted along by almost everyone in the building. Wrex the Halls 2016 was another fantastic live concert held by 91x. The radio station always brings a fun lineup to this holiday showcase, and it’s awesome to get to see these bands play in San Diego.